Levi: Mimi? You want me to toot? Yeah or no? You just have to love innocence of little children. We had a great day that day!! I love him to the moon and back!! I also visited my brother and his family. 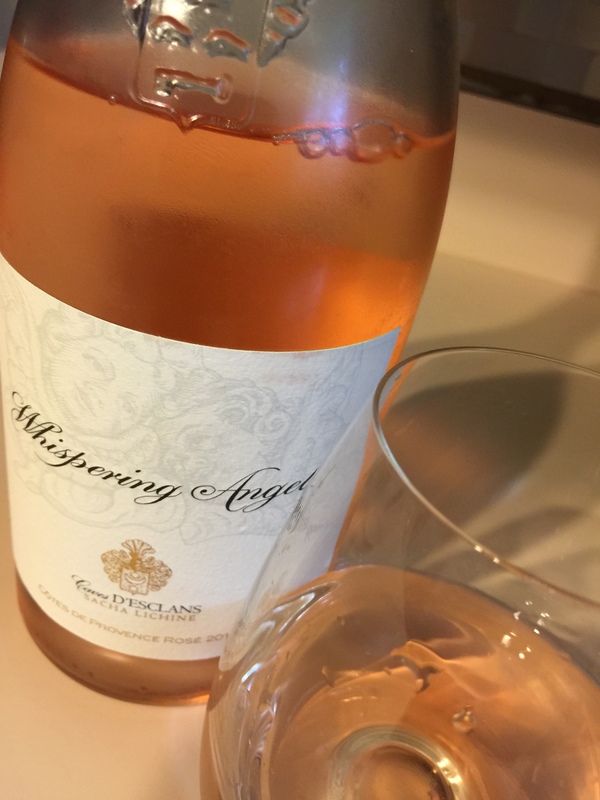 I stopped at Target on the way to visit and was walking the wine aisle when I spotted the Whispering Angel Rosé. This was a great find, especially at Target. I decided to take this out to share with my brother and sister-in-law. I couldn’t wait to try it! The wine is a beautiful pale salmon color. Strawberry, raspberry, and citrus on the nose. A slight floral note as well. This is a dry rosé with bright acidity, layers of strawberry, raspberry, citrus, watermelon and a slight nuttiness on the palate. Very intriguing! I am going to have to find this here in California. I need to buy a few more bottles to share with some friends!! Cynthia, what vintage was this? Sounds like something I might like to try. I am a huge fan of the Whispering Angel! Great post! Thanks…I know I’m not the writer like you are but I’m working on it. Cheers! !